SlatorCon is coming back to Slator’s hometown. On November 29, 2018, the Sheraton Hotel in Zurich’s fast growing District 5 will host language industry executives, investors, technologists, and buyers from all over the world to learn about and discuss the state of the language industry and engage in exclusive networking opportunities. The conference will be held at the Hardturm room. The event builds on the success of the first SlatorCon Zurich and comes after the sold-out SlatorCon San Francisco 2018, Slator’s biggest conference yet. How do industry players currently deploy neural machine translation into their workflows and processes? How is M&A, which has been heating up again recently, impacting the industry and what do company owners and investors need to bear in mind as the cycle matures? How does one of the world’s largest pharmaceutical companies manage its multilingual requirements? And how was 2018 for the language services market and what should we expect for 2019? Speaker presentations will be in SlatorCon’s signature format, with each presenter speaking about their topic for 20 minutes. Following the presentations will be a speakers’ panel, which provides an additional opportunity for participants to engage in the discussion. SlatorCon Zurich 2018 provides ample time for networking with CEOs, founders, senior industry peers, investors and buyers before the event, during the afternoon break, and at the end of the evening’s events. 2018 is the year that is having a profound impact on the language industry. The real-life impact of machine translation’s quality breakthrough and how vendors are adjusting. How M&A is transforming the vendor eco-system. Outlook into 2019 and what’s in store for buyers and vendors alike. The language industry is going through what’s perhaps the most active phase of mergers and acquisitions (M&A) in its history. What are the drivers behind this and what is important to buyers and sellers as the are planning the process? Ubiqus has always explored technology but until 2015 speech recognition and statistical machine translation were not at the required level to be deployed in production. Starting 2016, neural networks changed everything and the company began to use automatic speech recognition and neural machine translation in daily operations. What’s the vision for LanguageWire? Outlining the strategic rationale for the Xplanation merger. Why the hard work still lies ahead. How Roche’s Language Services team supports the business of one of the world’s leading pharmaceutical companies. We’ll explore popular perceptions about and the reality of machine learning and how rapidly accelerating development has created a challenging environment to recruit engineering talent. The presentation examines how customizeable neural machine translation fits into Google’s broader AI/ML toolset. SDL is the global innovator in language translation technology, services, and content management. 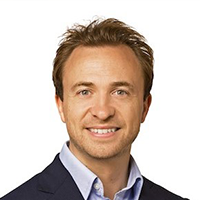 Dominic Emery joined Raymond James in 2017 to launch the London office and is a Managing Director of the firm’s Technology & Services Investment Banking group. Prior to Raymond James, Dominic ran Investec’s Technology Investment Banking group with responsibility across both ECM and M&A advisory work. 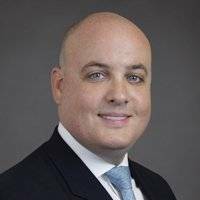 Dominic has over 15 years’ investment banking experience and has completed over 100 transactions that span mergers, acquisitions, corporate divestitures, public equity and debt financings, and private equity capital raises. He has also previously worked for Close Brothers Corporate Finance in Technology M&A and Robson Rhodes as a turnaround and insolvency specialist. Dominic graduated from the Universities of Durham and Lyon with a BA (Hons.) in History with French and is a qualified Chartered Accountant. 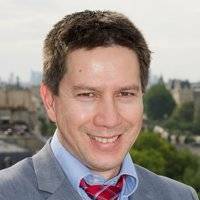 Vincent Nguyen joined Ubiqus in 2000 when the company, still named Hors Ligne and generating EUR 6mn in revenue and operating solely in France, raised EUR 20m on the Nouveau Marché and was renamed Ubiqus. Led by Nguyen, the company grew organically and by acquisition in the Transcription and the Translation markets. Nguyen led a first leveraged buy-out in 2007 and a second one in 2014 with EMZ Partners. Ubiqus expects revenues of EUR 75mn in 2018. Francesco Bombassei is part of the Google Cloud organization. He is a Technical Program Manager in the Professional Services team. In this role he provides Technical and Change Management advisory to large Enterprise customers of Google Cloud solutions, including projects with Cloud AutoML technology. He joined Google in 2015 in the Zurich Engineering Center, previously working within the Corporate Engineering and Network Operations teams. Even before, he worked in the Aerospace industry and in Management Consulting. Native of Verona, Italy, he now lives in Zurich. Claudine Nick heads the project management team within Language Services at F. Hoffmann-La Roche. 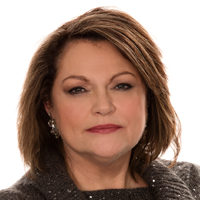 A translator by training herself, she has more than three decades of experience working for in-house language service providers, serving the banking, retail, and healthcare industries. Besides hands-on project management and occasional translation and revision jobs, Claudine contributes to shaping the department to the needs of a dynamic and highly regulated environment. 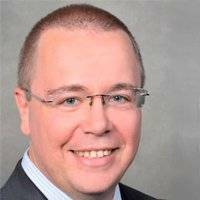 Rasmus Lokvig has been LanguageWire’s Deputy Chairman since 2017. In this role, he works very closely with LanguageWire CEO Henrik Lottrup and Chairman Jens Harsaae. Rasmus has been a Partner with Danish-private equity firm and LanguageWire majority owner CataCap since 2013. He’s worked in Private Equity for 13 years. Rasmus started his career at McKinsey & Co. He’s a father of three children. 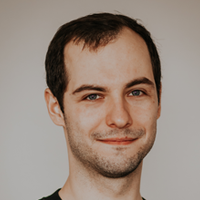 Aleš Tamchyna is an AI engineer at Memsource. He helped develop several features in the Memsource Cloud such as detection of non-translatable segments or machine translation quality estimation. Previously, he worked as an academic researcher at Charles University (Prague) and LMU in Munich. His research interests were machine translation and more generally, natural language processing. He obtained his Ph.D. at Charles University, his thesis focused on the use of discriminative models in statistical machine translation.